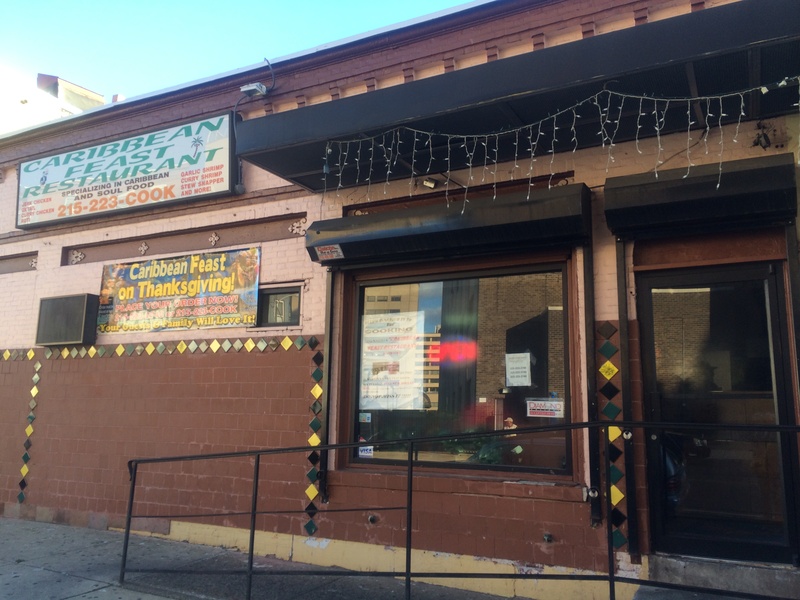 Caribbean Feast Restaurant is up by the Temple Hospital area, mostly a culinary dead zone. It was the wafting smell of jerk meat from the outdoor BBQ that drew us in. We found out they specialize in Jamaican food and do not use any pork products. Inside, take out and sit down are available in an odd triangle shaped space that they dressed up with fish tanks, random sideways palm trees, and banquet hall-esque tablescapes. Those jerk smells and island tunes pumping through the speakers set the mood for some Caribbean feasting. Posted at 2:04 pm, December 12th, 2013 under Carribean, chicken, North Philly, soup, Temple. Last winter Craig LaBan wrote an article about different food trucks around town, most I had visited or at least heard of but one truck mentioned was totally new to me- the Vegan Truck on Temple’s campus. This struck serves Asian style vegetables and soy proteins. Looking at the menu, it seemed that the fully loaded “hot pot” was the best way to check out how the truck handles their different non meat products. 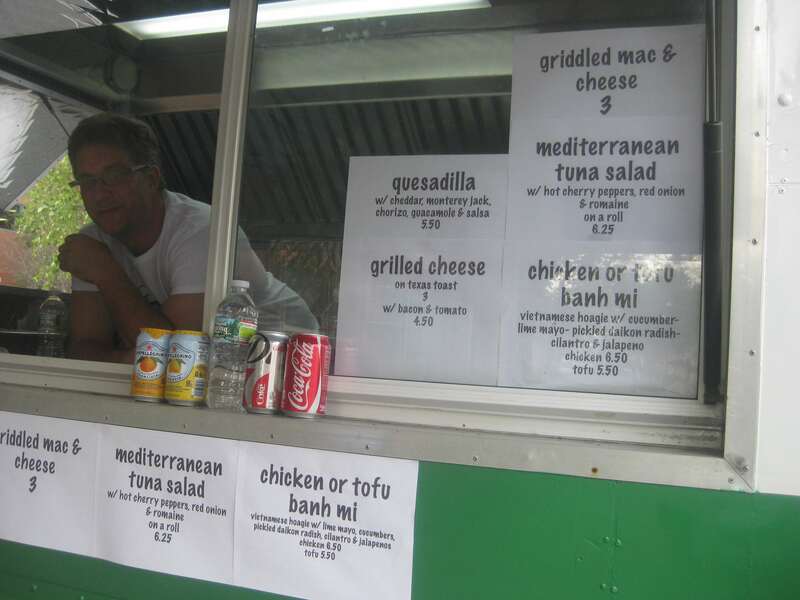 Posted at 1:30 pm, August 2nd, 2012 under food truck, soup, Temple, vegetarian. 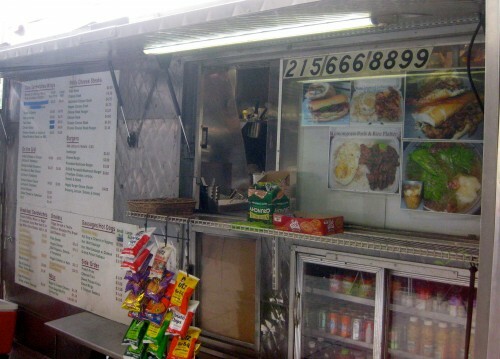 I was unaware, but Sammy Chon opened a truck on Temple’s campus in April. 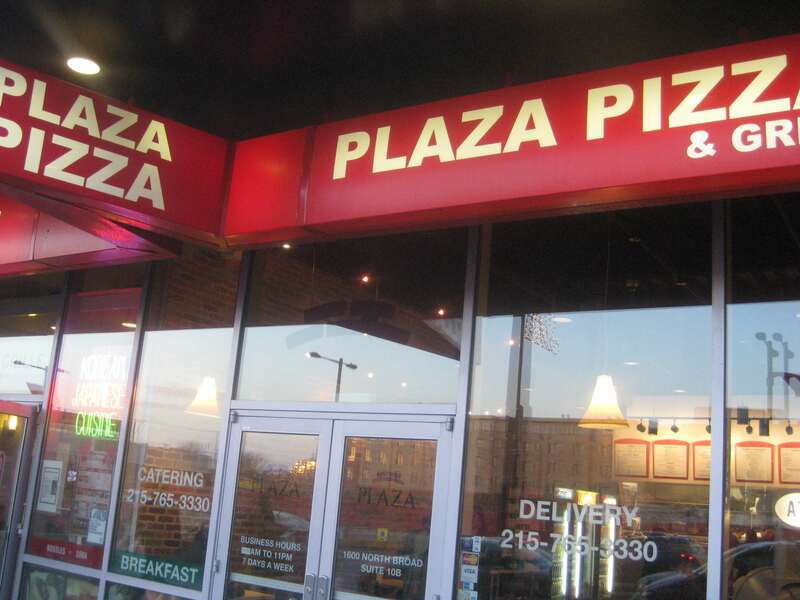 The menu is an abbreviated version of their other locations, including appetizers, Korean burritos, Korean tacos, and Korean hoagies. I figured since I was on a college campus, I might as well get real college with it and order the fully loaded meaty, cheese fries. 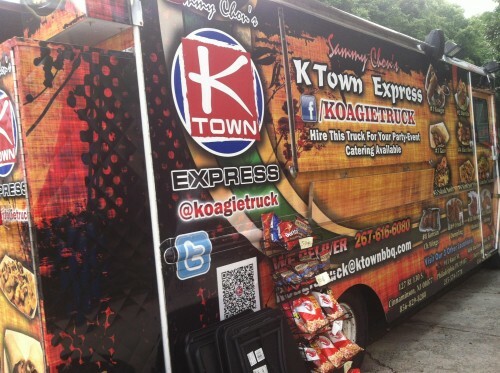 Posted at 11:59 am, June 25th, 2012 under food truck, Korean, Temple. 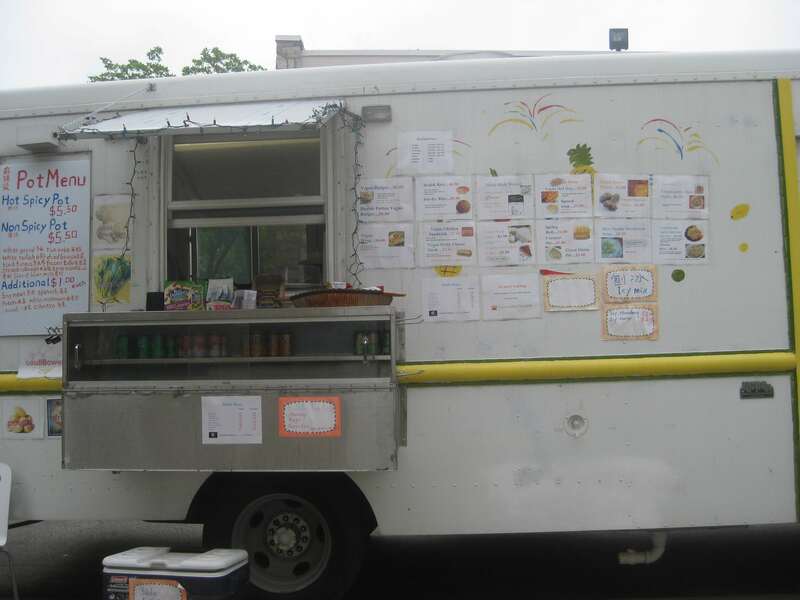 A year ago, the ladies behind the Simply Yummy truck at Temple University stuck to the traditional campus staples- hamburgers, cheesesteaks, fries, etc. Then they started offering occasional Asian inspired specials that quickly became popular. That menu expanded from an occasional wonton soup, to an official section of the menu including grilled lemongrass chicken and pork either over rice or in banh mi. Posted at 10:38 am, April 26th, 2012 under food truck, sandwiches, soup, Temple, Vietnamese. 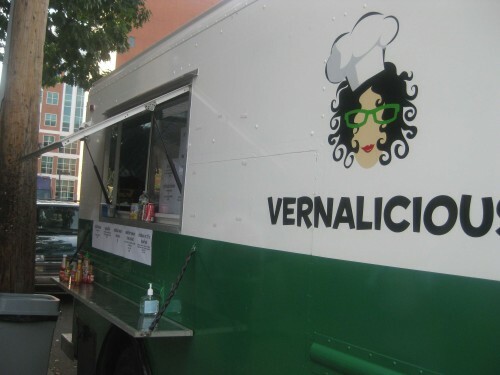 Around Temple University, lunch is best spent at a food truck. Beyond that, the campus is stuck with sad Chinese food places and bad pizza. Rachel’s Nosherie and Koja Grille are the main exceptions to that. Plaza Pizza is one of those not so great pizza joints. But, among the regular sandwiches, cheesesteaks, and salads, one of their menu items is actually a hidden treasure. Posted at 12:19 pm, March 22nd, 2012 under sandwiches, Temple. 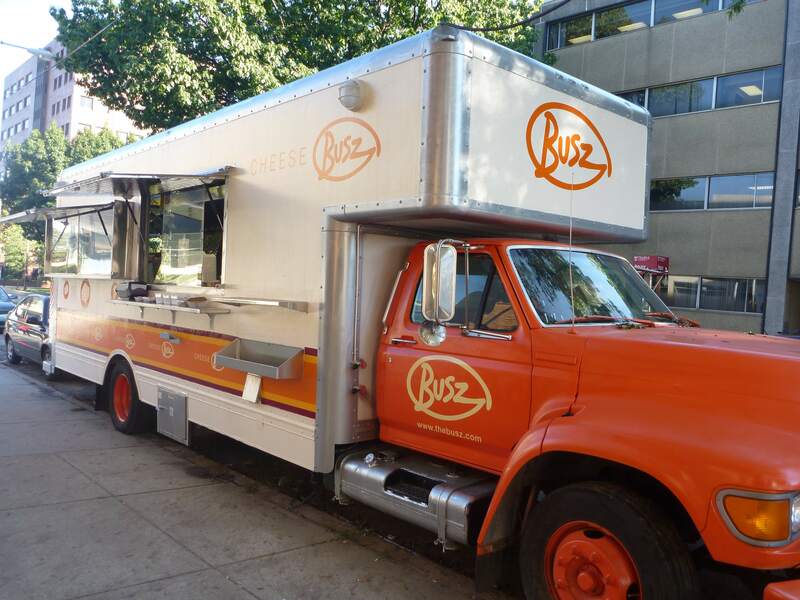 Two buszes opened on campus this year on Temple’s campus catering to undergraduate cravings, the Cheese Busz and the Burger Busz. They park close to each other on 13th Street. I am not quite sure why 2 buses were needed for menus that are pretty basic, but it probably helps cut down on lines. Posted at 10:24 am, November 9th, 2011 under burger, food truck, Temple. 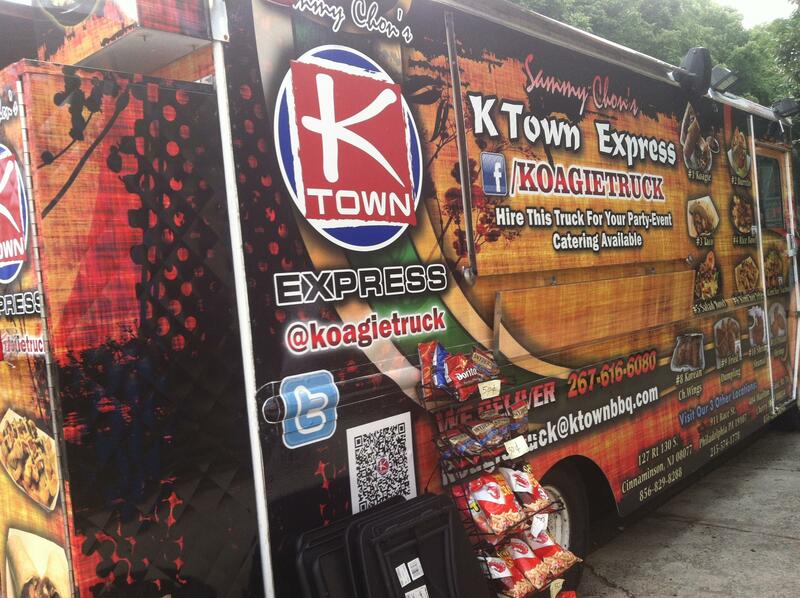 The row of trucks along Montgomery Street on Temple Campus is home to at least half a dozen trucks that specialize in things like chicken cheesesteaks. The recent addition of the Vernalicious truck brings instead comfort foods and not a cheesesteak in sight. Verna, a former optician, and her boyfriend Dave are the friendly couple behind the truck, and they have a good sense of what the people want. One important thing to know before you go over: whether or not they can even bring their truck out on a particular day and what foods they have to offer completely depends on their food suppliers, whose schedule isn’t completely finalized yet. So be sure to check on Twitter or Facebook to see if they will be out before heading over. Posted at 10:33 am, October 19th, 2011 under bacon, food truck, Temple.